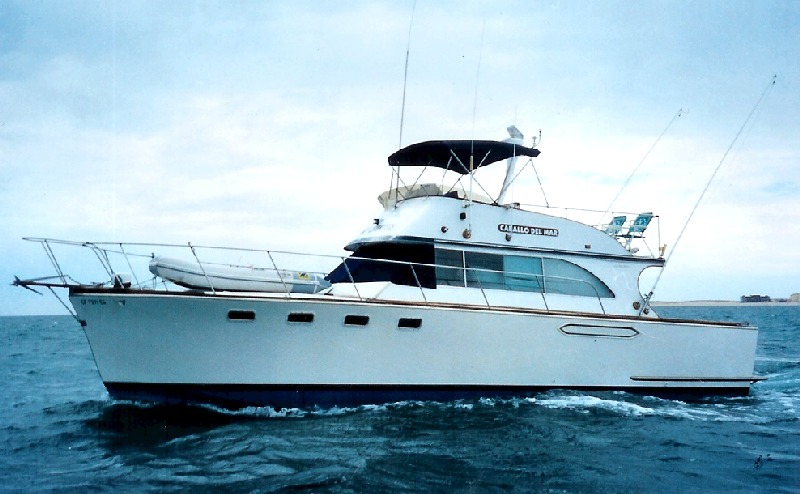 44 Ft. Yacht That has 2 bathrooms, galley, 5 beds, overhead shade, twin diesels for dependability and speed, along with an oversized cockpit for your fishing pleasure. Accommodates small or large groups as we chase Dolphins and watch the sunset over the beautiful Sea of Cortez. This 36 Ft. fishing boat Has a nice area to fish from. Overhead shade, small cabin with private bathroom, dinette, small seating area. For fishing the minimum is 6 maximum is 10. 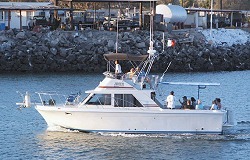 For sunset cruises the minimum is 8 maximum is 14. 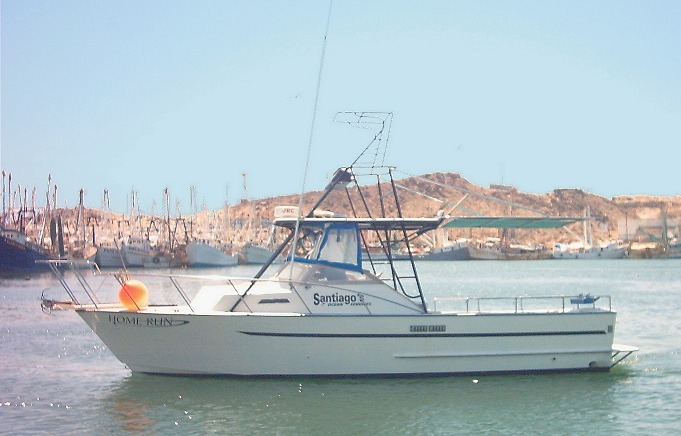 32 Ft. 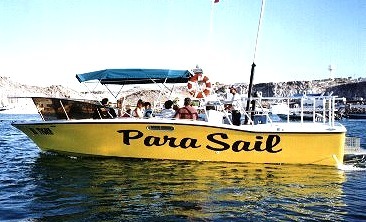 Ocean Pro Commercially built Parasail vessel. Powerful boat can easily handle any ocean condition with special platform built right on the boat. Big boat that accommodates 12 people easily for the ride of a lifetime HIGH over the Sea of Cortez. phone number (including area code) in your message.